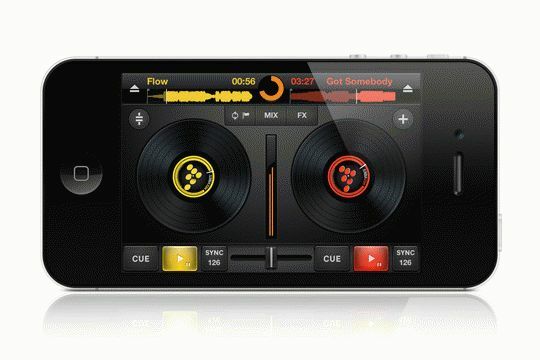 Building on 10 years of expertise in the DJ software industry, MixVibes releases a stand-alone DJ app for iPhone. Easy to use for music lovers yet powerful for experienced DJs, this app allows you to achieve the same level of performance as with real decks. The Paris-based company has a successful experience in developing pro DJ software. Its flagship product, CrossDJ, is already available on PC, Mac and iPad and its today available for iPhone. In order to stand out from the crowded DJ app offer, CrossDJ for iPhone focuses on industry standard DJ setups. “CrossDJ is the easiest way to start Djing. When you step up to iPad app or regular decks, you’ll already be familiar with standard layout.” states CEO Eric Guez. With its scratching, loops, effects and hot cues, CrossDJ is the first app for iPhone that provides professional features in an intuitive design. Its layout was optimized for the Apple device: smart tabs, large controls and Cue/Play/Sync buttons. Based on the same engine as previous CrossDJ versions, CrossDJ for iPhone provides the most reliable synchronization engine and BPM analysis on the market. It guarantees DJs to be always on the beat. Plus, you can visually preview your mix using parallel waveforms and sync meter. On top of that, Cross DJ for iPhone provides direct access to iPhone’s iTunes library and playlists. And best of all, it’s free! Playtime is unlimited, and no ads will interfere with the experience. For $2,99 / 2,69€ / 1,99 £, users can upgrade to a premium version with additional effects and the split output function.